Aaron Meyers was born in central Indiana but grew up in northern Texas and southwestern Michigan. In January of 2014, Aaron was introduced to photography by an acquaintance who worked as a photojournalist. From the first moment that he held the camera, an ember of interest for the art became a brightly raging fire of passion to learn more. By February of 2014, he had bought his first DSLR and lens and spent countless hours reading, watching anything he could get his hands on that would help him become a better photographer. Being able to travel so much at an early age has taught Aaron to view the world and all its color and detail in a unique light. His perceptive technique, easy going attitude combined with quick wit leaves his clients stunned by his work and eager for more. Combining photojournalism and fine art to create images that are timeless, romantic yet still captures real emotion. A hopeless romantic who loves to smile and laugh that will make you feel comfortable and relaxed, allow your inter spirit to come out in the images. The Perfect blend of camera unaware photos and posed photos completes your wedding catalog. With a combination of hyper attention to detail and hand editing creates images you will cherish forever. 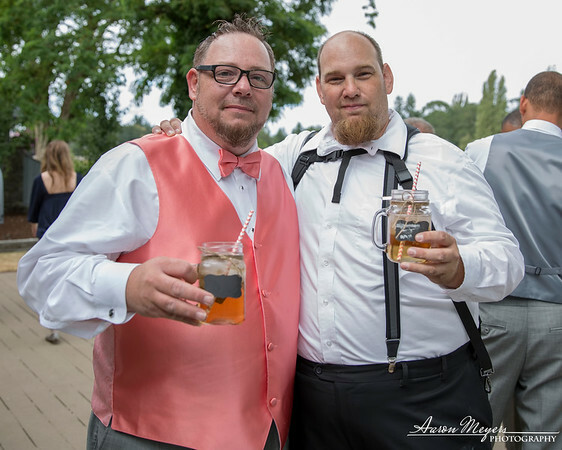 In 2017 Aaron Meyers was selected as The Knot Best of Weddings based on reviews over a course of the year. This honor is only given to less than 2% of all The Knots Vendors.